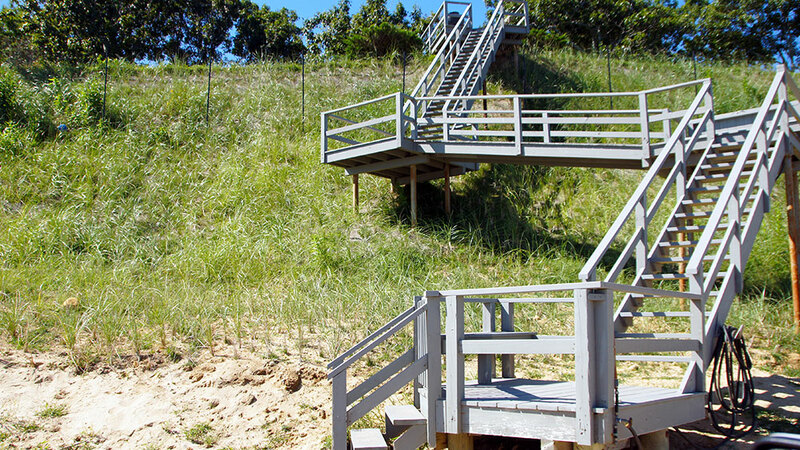 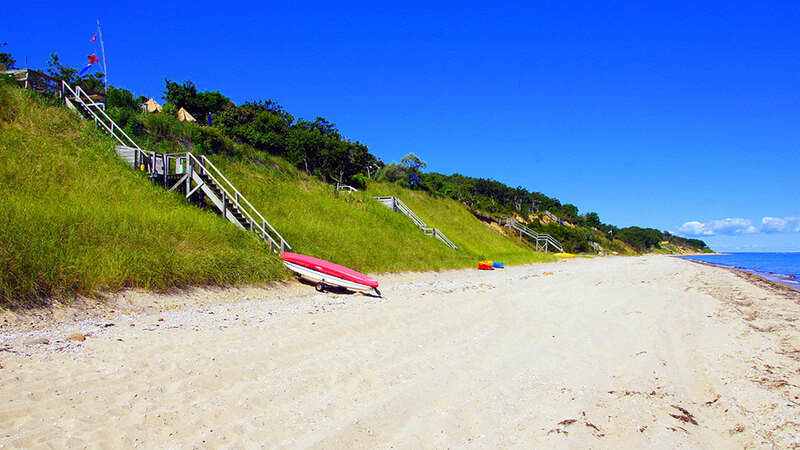 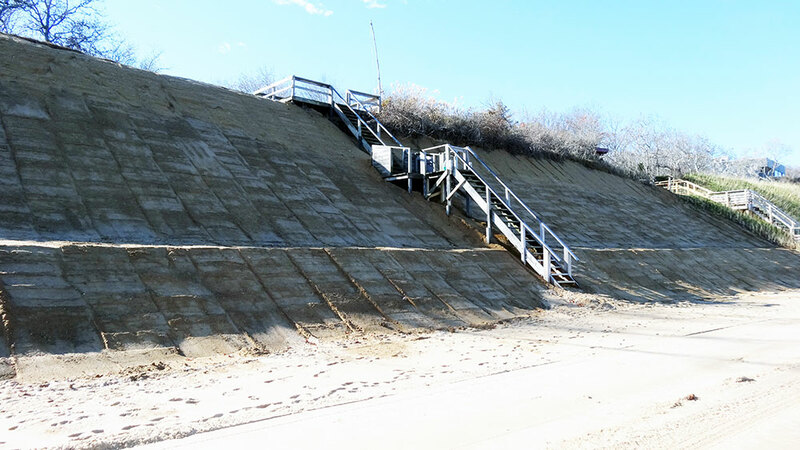 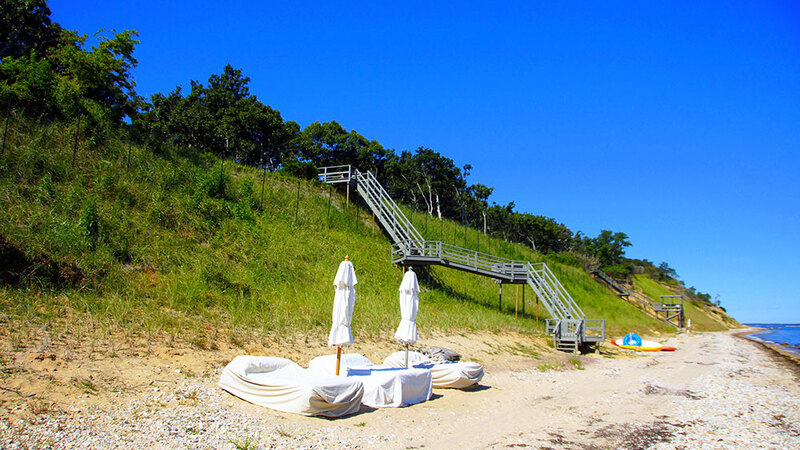 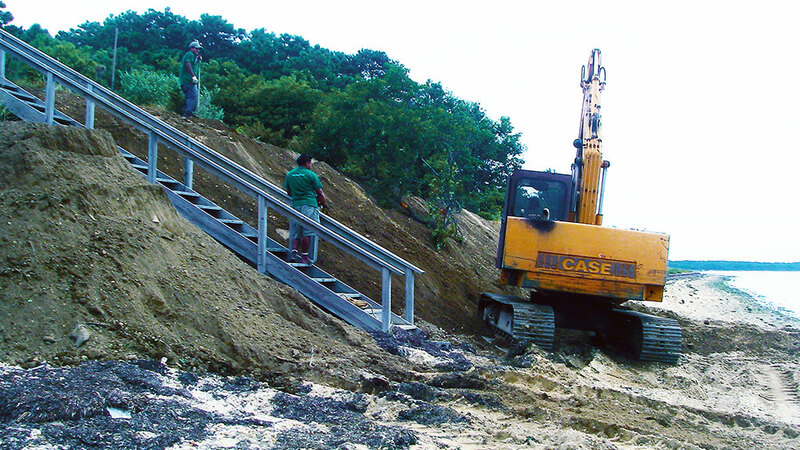 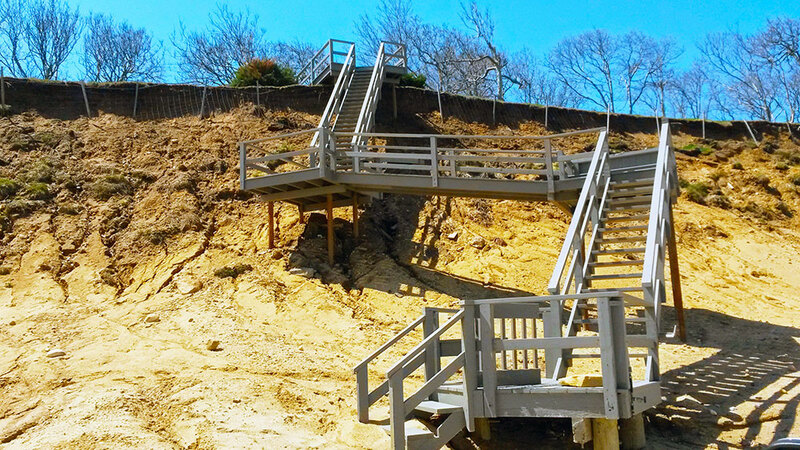 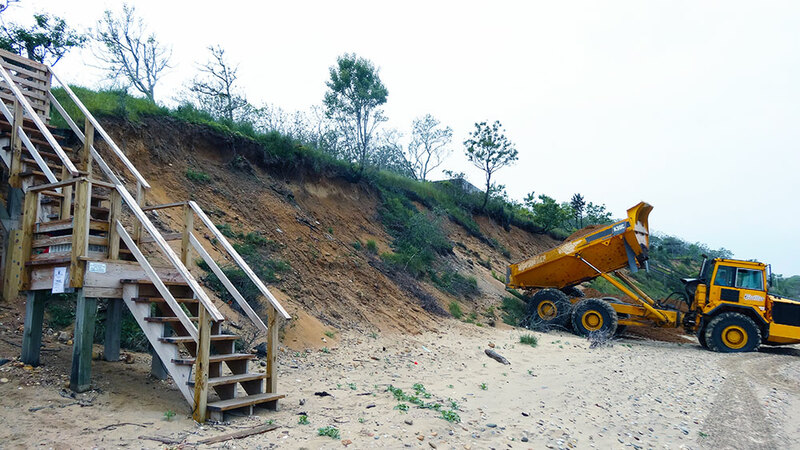 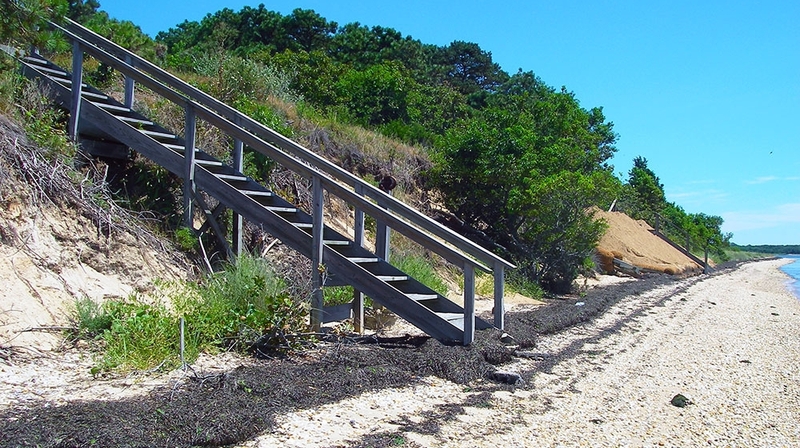 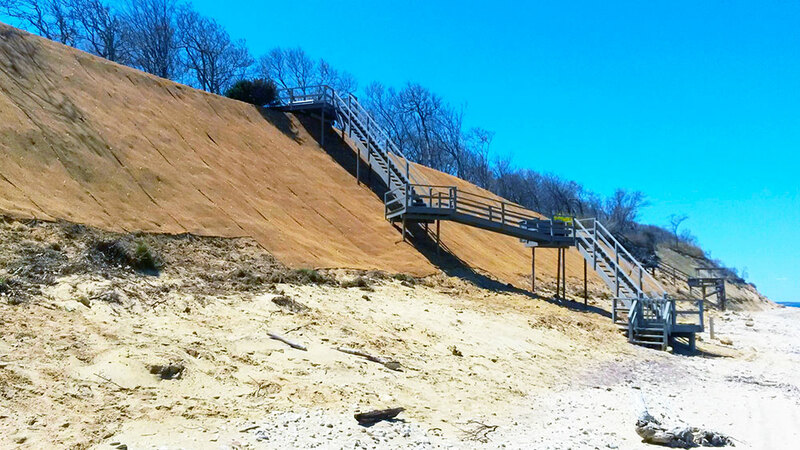 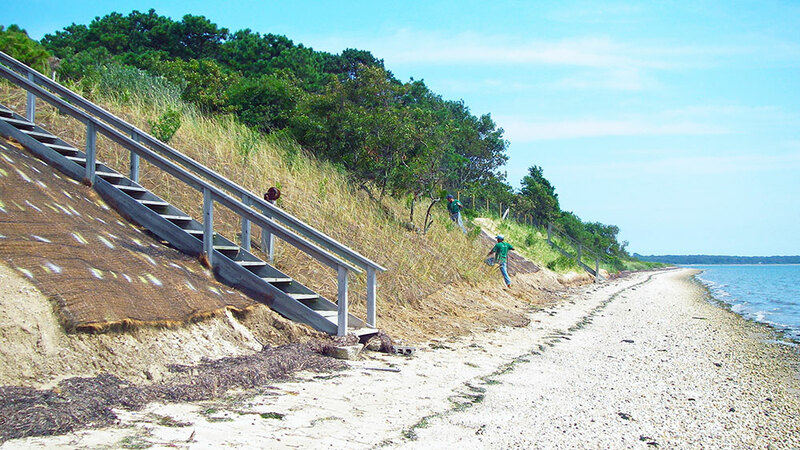 First Coastal restores and re-vegetates eroded bluffs along Long Island’s north shores through our successful multi-step bluff restoration and re-vegetation process. 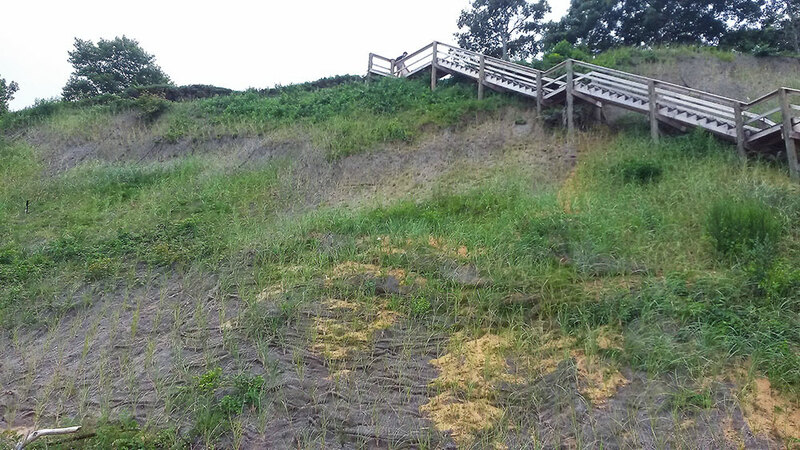 Eroded and un-vegetated bluffs will continue to erode through wind, rain and slump erosion if left unattended. 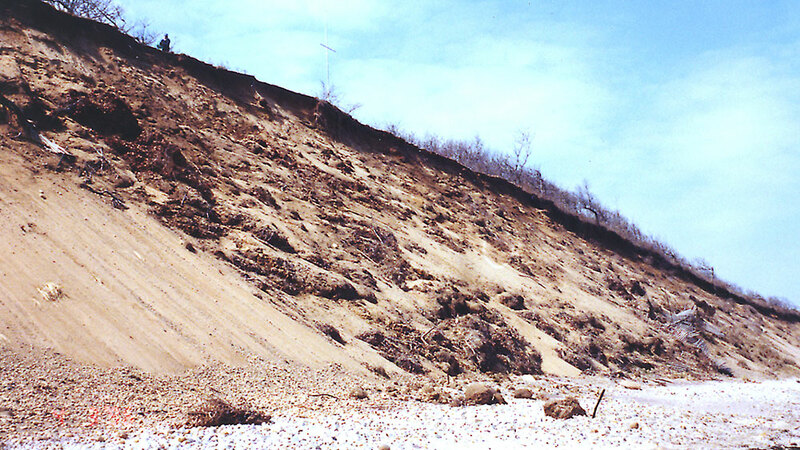 Additional erosion will cause the bluff crest to migrate landward. 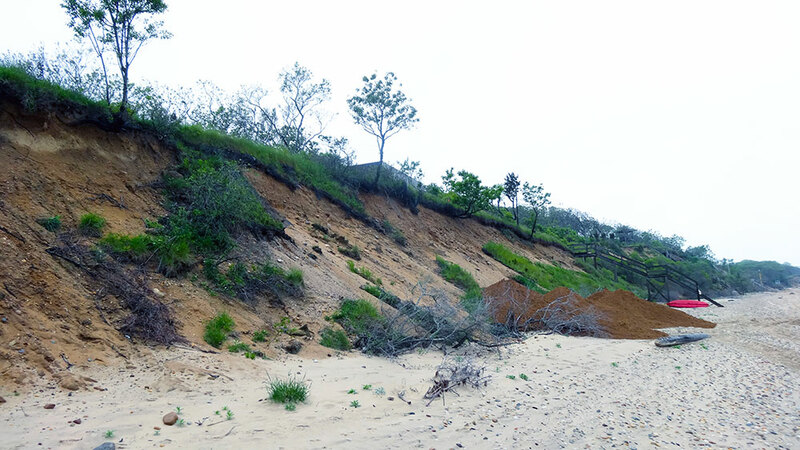 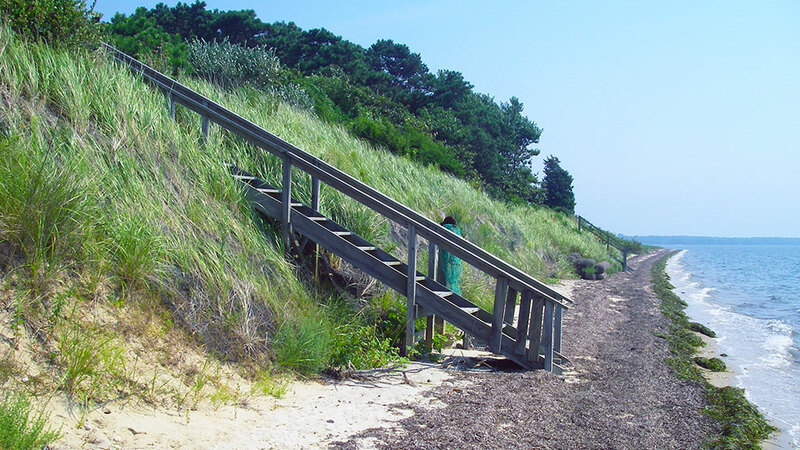 First Coastal has developed a multi-step process to stabilize, re-vegetate and maintain eroded bluffs. 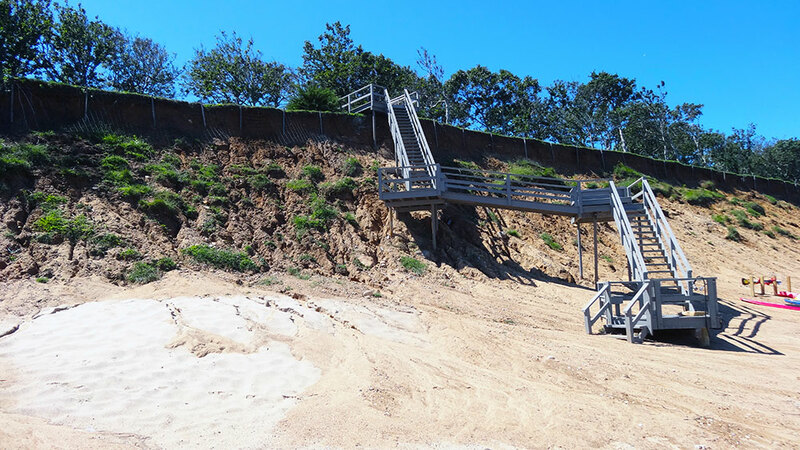 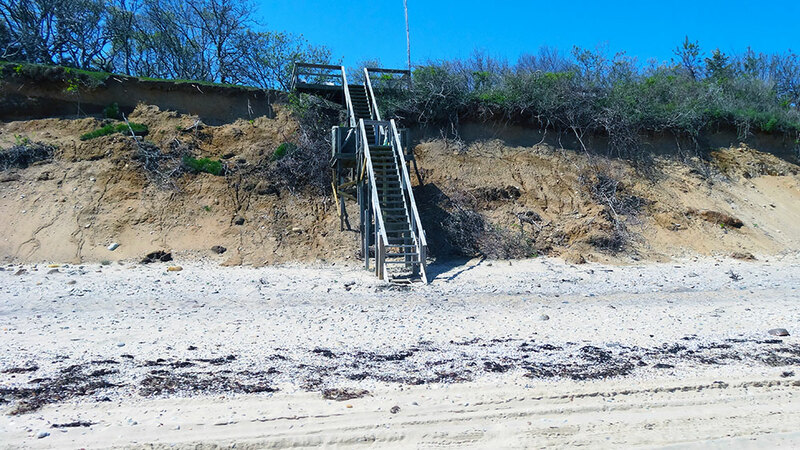 Once the bluff is stabilized and re-vegetated First Coastal continues to monitor the property for further erosion throughout the year. 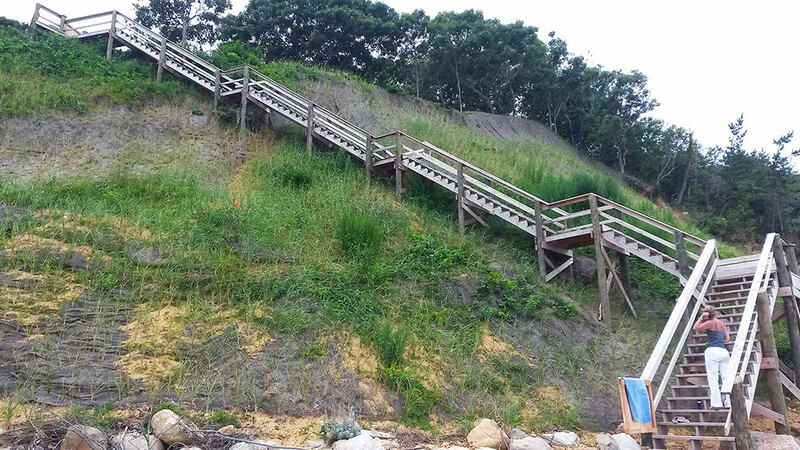 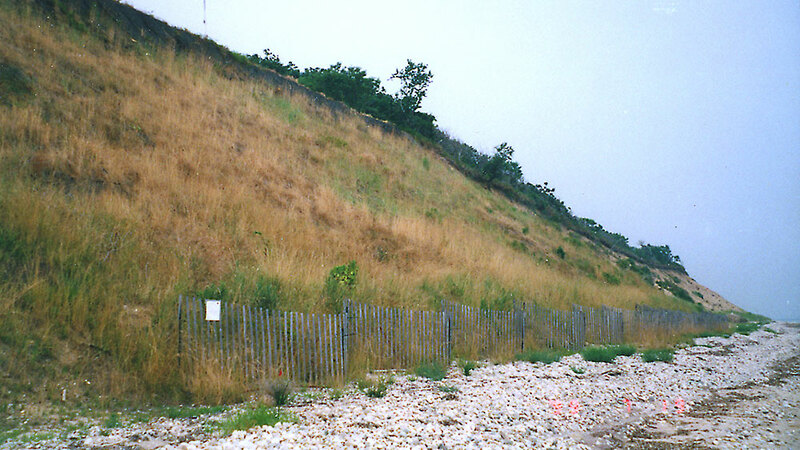 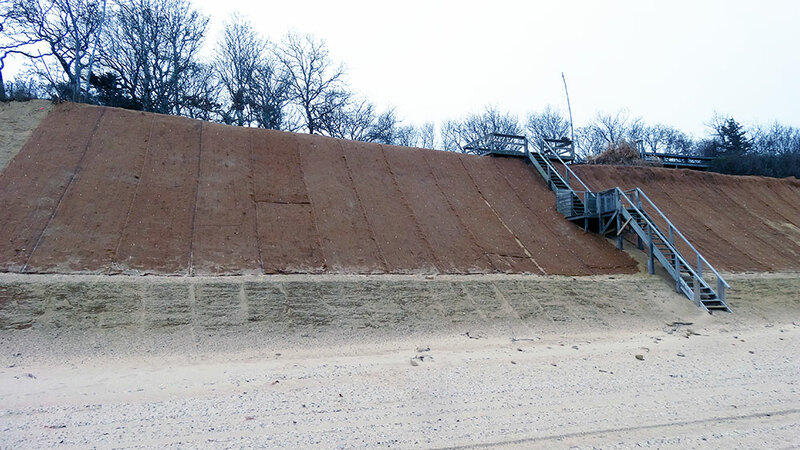 If severe storm waves eroded the base of the bluff then the eroded lower portion of the bluff is mechanically restored with fill before the top of the bluff slumps. 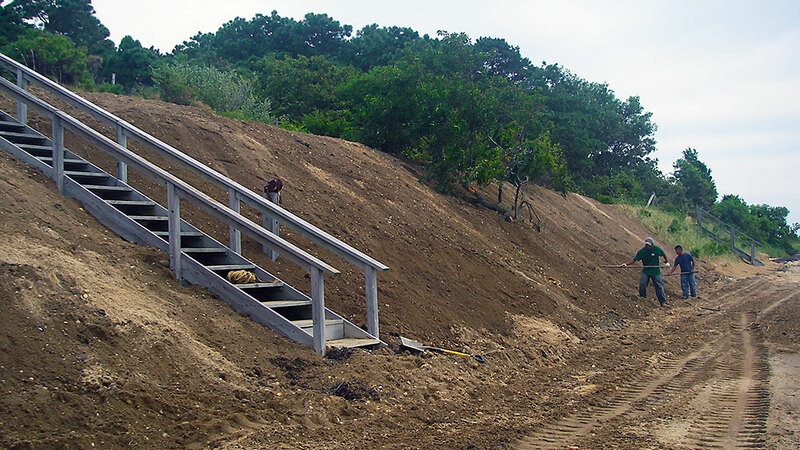 Our bluff restoration program is the most effective, natural way to help stay the landward migration of the bluff crest.